On December 17 millions of Star Wars fans cried out in anguish and then suddenly silenced but it wasn’t the destruction of Alderaan that caused their cry, it was the death of Han Solo. Yes in J.J. Abram’s Episode VII the galaxy’s greatest smuggler met his maker on the end of Kylo Ren’s lightsaber after a heart-wrenching scene where he confronted his rebellious son. While fans were devastated (my jaw literally dropped) it was probably the defining moment of the movie and was a clear move by Abrams to let the audience know no one, not even the classic trilogy characters, were safe. However all was not as it seemed during the emotional reunion between father and son and Kylo may have been more tempted to the ‘pull of the light’ than anyone realised. In an interview on USA Today Abrams shared a clip from the special collector’s edition 3D Blu-ray of Episode VII which revealed some insight into Kylo’s mind. People have asked me if I think Kylo Ren was just playing with him the whole time, if he meant to kill him from the beginning. And the truth is, I think Kylo Ren in this moment is actually being convinced to walk away from this. Snoke is, as Han says, using him, and I think that somewhere Ben knows this. But I think that he can’t accept it. Deep down he has gone too far. It’ll be interesting to see how this affects Kylo Ren going forward especially as Adam Driver’s praised Rian Johnson’s Episode VIII script saying he learned a lot more about Kylo. 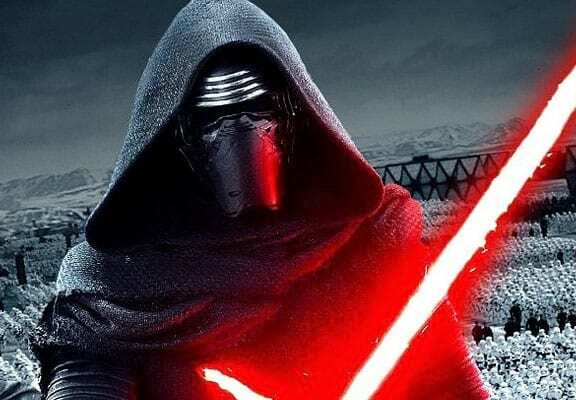 Who knows maybe Kylo Ren isn’t as irredeemable as he seems at the end of Star Wars: The Force Awakens.